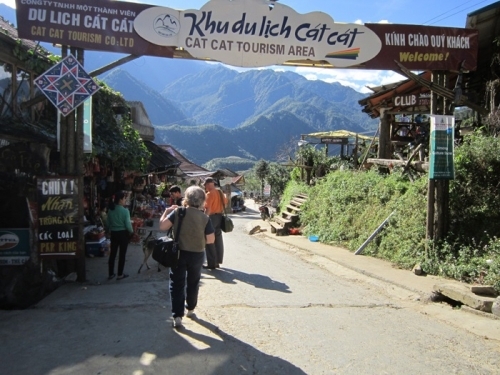 This tour brings you to the Cat Cat village and waterfall, the villages of Lao Chai, Ta Van, and Dzang Ta Chai in the beautiful Muong Hoa Valley, and to Sapa town. You will trek for 3 days through the various villages and still have time to experience all there is to see in charming Sapa. You can experience your trekking staying at homestay in Sapa that you have never stayed. Moreover, you will trek through beautiful landscapes and get more knowledge from the life of the different tribes. 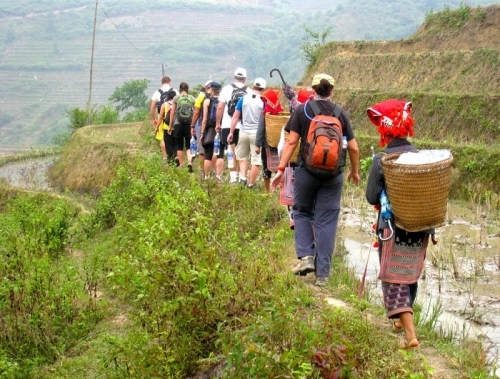 Trekking Sapa is a great experience for your trip. Trek to Dzang Ta Chai Village. You take taxi by yourself to Phu Quoc airport to flight to Hanoi. 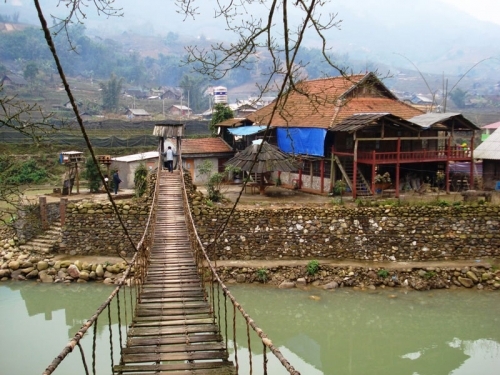 Sapa Medium Trekking 3 Days Tour begins between 6:00pm-8:30pm with a bus or private transport transfers to the railway station in Hanoi where you will catch the night train to Lao Cai. The bus guide and tour guide will arrive at the Lao Cai Station between 5:00am-7:30am, then transfer to Sapa town. After having breakfast and a shower, you will start going the half-day walk to Cat Cat village occupied by the Black H'mong tribe. You will have a great opportunity to experience the tribal way of life while enjoying beautiful views of the terraced rice paddy fields and the waterfall in Cat Cat. After that, you will check-in at Sapa Summit Hotel at around noon and be on time for lunch (11:00am-2:00pm) in the hotel restaurant. For the rest of the afternoon, you will be free to explore Sapa town on your own. You have dinner in the hotel restaurant from 4:00pm-8:00pm. Then, you will overnight at the hotel. 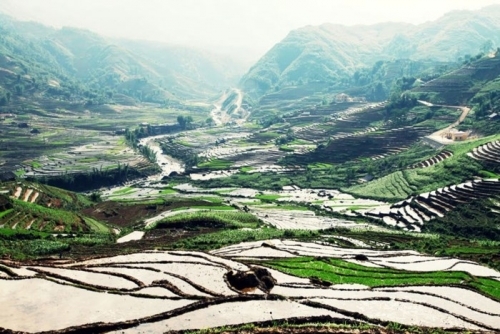 Included: Train ticket: Hanoi - Lao Cai, transport picks up at Lao Cai train station, entrance fees, breakfast, lunch, dinner, English speaking guide in tour, 01 water bottle and accommodation. After having breakfast and a shower, you will check out of your room at the hotel and prepare for your trek. You will only need to bring a change of clothing, trekking gear and toiletries for your stay at the village homestay. After having lunch along the Muong Hoa river in Lao Chai, you will visit the Dzay tribe village of Ta Van to experience their way of daily life while staying in a local family's cottage. Included: Air con tourist bus or private transport, entrance fees, breakfast, lunch, dinner, English speaking guide in tour, 01 water bottle and accommodation. After having breakfast in the village homestay, you will continue your trek to Dzang Ta Chai of the Red Dzao tribe. Moreover, the journey is a good chance to experience the difference between the way of life of the different tribes people. 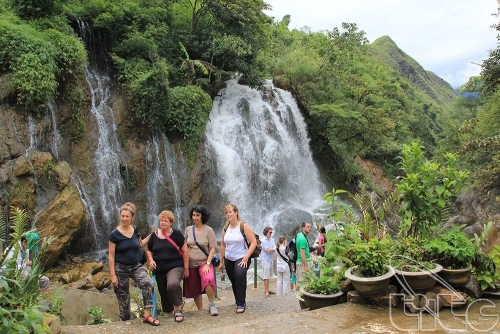 Then you will have lunch in the village before your trek through the wonderful scenery and the beautiful waterfall. At around 2:00pm, we will pick you up from the main road to take a ride back to the Sapa Summit Hotel. On the way, you can take photos of the amazing valley enroute to Sapa. When you arrive in Sapa, you will freshen up with a shower and have dinner in the Sapa Summit Restaurant before coming back Lao Cai for the night train to Hanoi. Included: Train ticket: Lao Cai - Hanoi, air con tourist bus or private transport, entrance fees, breakfast, lunch, dinner, English speaking guide in tour and 01 water bottle. You will arrive in Hanoi between 4:00am-6:30am at the Tran Quy Cap train station and transfer to domestic airport flight back Phu Quoc. Finish Sapa Medium Trekking Tour 3 Days and see you again. Train tickets Hanoi - Lao Cai - Hanoi. Bus or private transport picks up and transfers to train station. Meals: 03 breakfasts, 03 lunches and 03 dinners. Things to bring: A change of clothing for each day, toiletries, sunscreen, insect repellent, hat, sunglasses, trekking shoes/boots. Please provide name of hotel and hotel address in the old quater area of Hanoi, Vietnam where we can be free pick-up & drop off. If you are a single person or you request a single room, you must choose single supplement part.